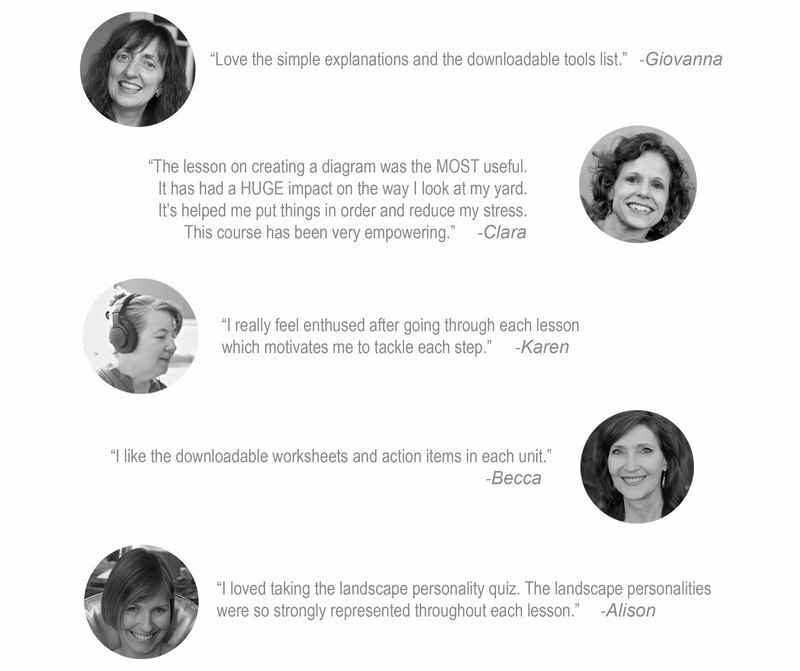 An online landscape design course & workbook. 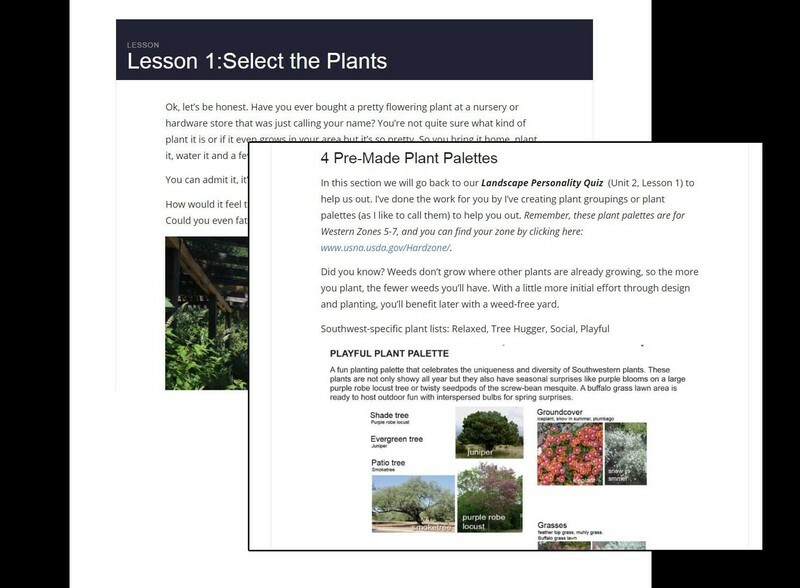 Learn to create your own Landscape Plan. The weeds and dirt in New Mexico is just so darn stressful. You need to keep your yard looking good but there is just too much darn work involved so you end up ignoring it and instead look at it every day when you leave for work. Spring comes and you're excited about the yard again, you buy plants, plant them water. A few months go by, the summer heat comes and now the plants are dead or dying. Frustrated you wonder what happened. Do I have a brown thumb? Why is this so hard. Imagine going to that same plant nursery the first of Spring armed with a Landscape Plan and a plant list. You are confident of what species to buy, how many you need and the steps you need to do to keep them alive. Fast forward to Fall and you're spending your September evenings relaxing outdoors after work with a beer enjoying your yard. Here is a look at some of the worksheets in the course. Why a landscape design course? For years I worked on designing parks for the City, large scale commercial and neighborhood planning projects. My friends kept asking me how to get a beautiful yard for themselves. They were always worried about what it would cost to get a landscape plan. They started to wonder if they even deserved to have a nice yard. They'd say landscape plans were only for people who could hire a gardner to take care of the designed yard or for people who had hours of extra time to spend working in their yard. I kept thinking it shouldn't be this way and I started to focus on how I could teach them to have the beautiful yard at a price they could afford. Fast forward 4 years and a ton of work later and this course was created. I now hear stories from them about how their life has changed now that they have the yard they dreamed of. They're thrilled to unearth new potentials in their yard. This fills my heart with happiness! 3 Mistakes people make about their landscapes. Why does it take so long for plants to grow? Why is my yard just dirt and weeds? Can I even grow things when I have dogs? I don’t even go in my yard anymore because I can’t stand to look at it. It’s taken me five years just to figure out how to get this one area to grow. Why even bother, I spend money on plants each year that die. I’m barely at my house let alone have time to water a garden. I’m so overwhelmed by the idea of doing something. One day, I’ll get someone to draw up a plan when I can afford it. Let's face it. It's hard to garden in the Southwest. t can be so frustrating spending money on plants that die or outdoor furniture that gets bleached out by the sun. I’ve had these same frustrations in my garden and sometimes I just wish someone would just tell me what to do next. That’s why I created Landscape Design Made Easy to make sure you have the knowledge you need to create your ideal yard where you can relax and entertain. 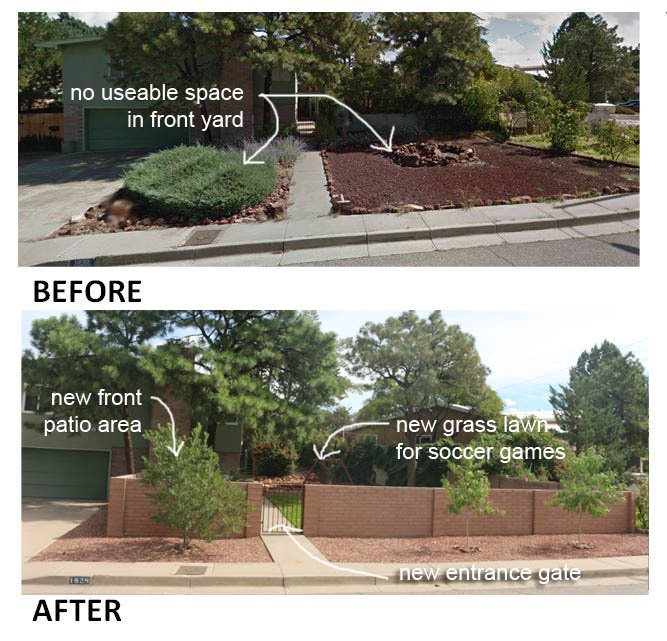 I think you can learn to design your own yard. Here is what's in the course. This is an online Landscape Design course. 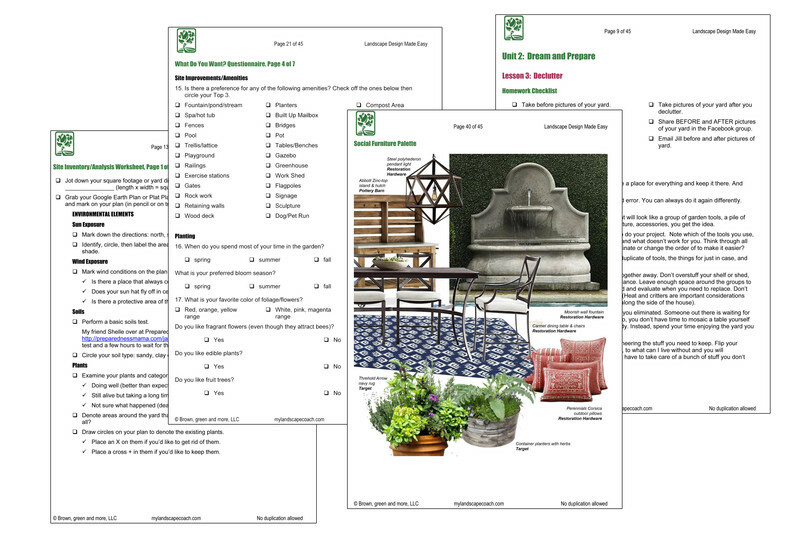 It includes videos, worksheets, tutorials, and checklists to help you design your yard step by step. Five (5) online teaching units filled with lessons entitled Welcome, Dream, Plan, Essentials and Let's Do This units each with Video tutorials! a 45 page workbook to be used in unison with the course. Mulch, plant selection and irrigation tutorials. My favorite garden tool's list. Four (4) planting and outdoor living palettes. Outdoor living extras such as lighting, my favorite outdoor furniture stores and detailed information on water harvesting. See what other students are saying. My yard is embarrassing, how can I see the potential in my yard? What tools should I have in my shed and why? What is my Landscape Personality and how can I use that to help make design decisions throughout my yard? How do I get a bird’s eye view of my yard? How do I know what plants to select and how much to water them? Where do I even begin when thinking about outdoor furniture? Here is what one family accomplished in the course. THE RETURN OF INVESTMENT: For $147 they had a landscape coach in their pocket taking them step-by-step through the design process &.subsequently the entire family is now educated on southwest landscapes and the unique aspects of their yard. 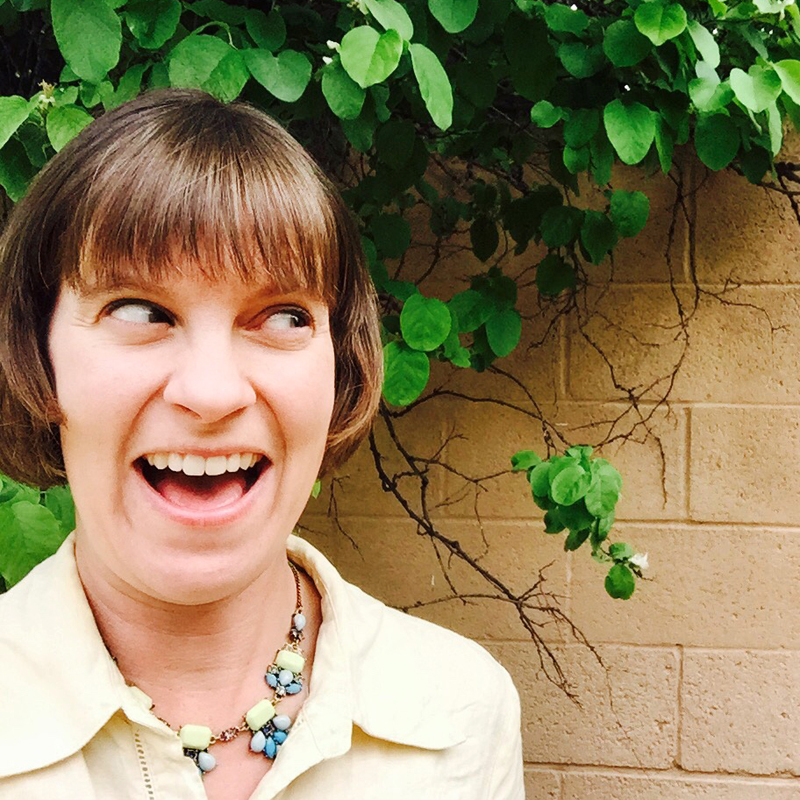 Hi, I’m Jill Brown and I knew I wanted to be a landscape architect from age 10. I’ve spent the last decade+ helping homeowners and developers dream landscapes become a reality. And guess what people would always ask me? I’d love to have you look at my yard one day when I can afford you. That got me thinking. How about I make a product that gives homeowners the tools they need to make their dream yards become a reality? 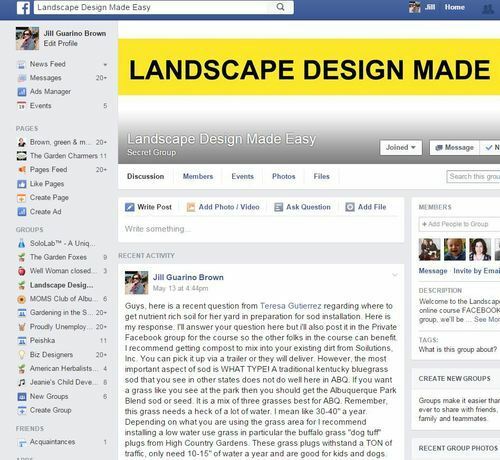 And the Landscape Design Made Easy online course was created. Are you ready to join me inside the course? Wondering how the heck you will work directly with me via an online design course? Don't worry, I'll walk you step by step through the Landscape Design process via video's, worksheets, checklists and goal setting. I tell you exactly what to do. We will keep each other accountable through the process via our private Facebook group so you get the results you want. 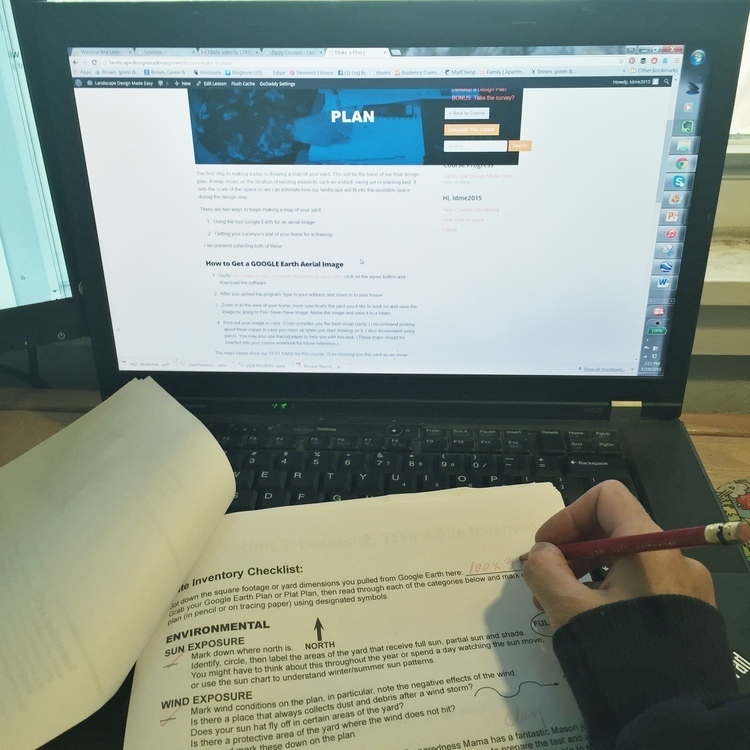 Jump in the online course today and this could be you gaining the knowledge you need to finally get the exact yard you want! Let’s make it happen with the Landscape Design Made Easy online course. All you need is you, your computer and your yard. 30 Day Money back guarantee. That means you can join today, try the program out for 30 days, and if you decide it’s not working for you just email our support team before the 30th day, show us you did the work, and we’ll give you a prompt refund. Still not sure? Click the learn more button on the top of this page and I'll get right back with you to answer your questions! Not sure if the course is right for you. Learn More here! Success! Now check your email to confirm your subscription and I'll get your questions answered! © Copyright 2019 My Landscape Coach. All rights reserved.